Escape to Maredumilli, a visual treat of a town with rich forests, cascading streams and waterfalls. Enjoy some time away from the traffic and busy work life to simply be one with nature here. Maredumilli is a sleepy hamlet in the East Godavari district of Andhra Pradesh. If you haven’t visited Kerala and want to get a glimpse of it, Maredumilli might just be it. Known for its greenery, coffee and pepper plantations, a picture book from your childhood transpires into a reality here. Go here to discover a charming tribal lifestyle.There’s also Madanakunj to spot various species of butterflies and wild animals. This area also abounds in waterfalls like Jalatarangini, Rampa, and Swarnandhra around which you can also trek and camp. 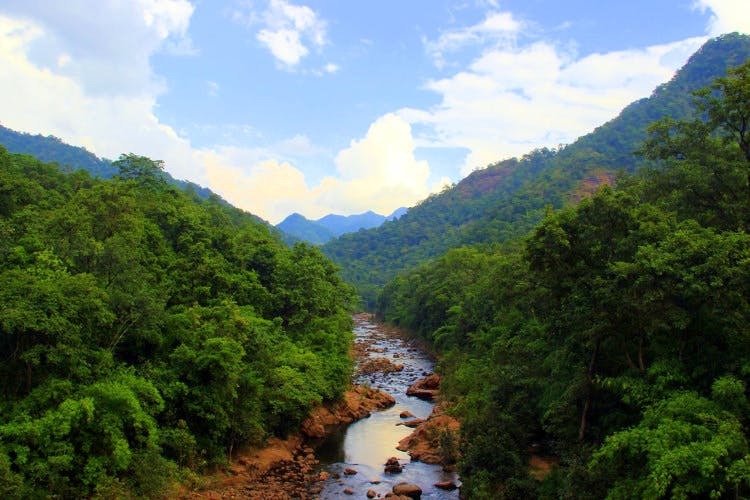 Stay overnight at Jungle Star Camp Site, a riverside camp that lets you explore the woods of Eastern Ghats.You can either take a train or a bus to Rajahmundry and travel via road, which is 85 km away from Maredumilli. The road trip from Hyderabad to Maredumilli is also worth doing as you cross the scenic vistas of Rajahmundry and Bhadrachalamm. Don't forget to try Bamboo Chicken, a specialty of Maredumilli, and it's usually available at all the local restaurants.